In SOUTH BEACH, Laila Sheridan, a successful fashionista who attracts male interest with an effortless strut of her stiletto heels, has ended a rocky relationship with Malcolm Khalid, a captivating lothario with a passion for shirking adult responsibilities. She believes partying in glamorous South Beach with her former college roommates is the prescription for getting her swagger back. When her vacation becomes a media circus that draws Malcolm back into her life and her handsome Psyche marketing colleague, Gray Ryley, arrives on the scene to tame her antics, Laila is determined make the men play by her rules. Gray finds himself torn between anguish and ecstasy when another Lalia-sitting assignment is placed in his hands; he's asked to hinder Malcolm's advances and subdue the paparazzi, while wrestling with his smouldering desire to get Laila in his bed. Will this assignment cause him to disclose feelings that may sever their friendship and jeopardize his career? Yes, dreams inspire me to write certain characters or certain settings. My last dream was a little weird. I dreamed Kanye West wanted me to convince government personnel to install a stature of his wife Kim Kardashian West near a small indoor pool in the White House. He was being very nice in his request but the look on Michelle Obama’s face when she was told the topic of the meeting was priceless. I’ve been writing since I was a young teenager. I kept a journal, wrote essays, and composed short stories. NORTH STAR was first made available electronically in November 2011. I love the multicultural romance genre because it spans the entire spectrum of romance fiction. I write Contemporary Romance and Inspirational New Adult because I’m exposed to romance stories everyday and since I work at an university I have access to wonderful young people. In my spare time I read other authors in various genres: romantic suspense, historicals, fantasy, etc. SOUTH BEACH is the story about the turning points in Laila Sheridan's love life and closest friendships. The novel gives various views of different love relationships and how we deal with the challenges of starting again after heartbreak. It was important to me to show how women lean on their closest girlfriends to make wise choices in their love lives and how to stand in their own authenticity. It was important for me to show readers that women friends fill a special place in each other’s lives as they straighten out their love lives. I was inspired to have this focus because the value of true friendships have been minimized by realty television and social media. Yes, I spotted someone reading my book before one of my book signing and it was a great feeling to know I was entertaining someone. I really can’t say because there are talented actors arriving in Hollywood everyday. I know I would want unknowns to play the main characters. 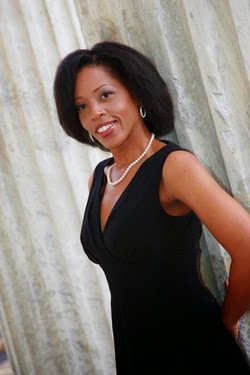 Nia Forrester because she writes woman-centered fiction for today’s woman of color. I write in my bedroom, in my office, and any place I can write comfortably. I wanted to be a singer and a writer, so one out of two isn’t bad. I received my degree in English Literature and decided to make writing my profession in 2005. Top drink to make you tipsy? I’m a shopadon’t in the summer months. I make a point not to spend very much from June to September so I can have extra funds for the holidays. I love four inch heels so I can pretend I’m 5’9. E.L. James or Jilly Cooper? I would say Jilly Cooper, minus the adultery and infidelity. I’m very pro-family and pro-community. Cry baby or tough cookie? I’m a bit of both. I can be a real lioness when I’m determined to get my point across but I have high empathy so I can get teary when I hear a heartfelt story. Exotic beach because relaxing at the water’s edge is so appealing in the summer. For the first time in months, I’m going to forget everything and everyone in New Jersey, Laila Sheridan thought, as she strolled from her cab towards the Fontainebleau Miami Beach hotel lobby. She willed her mind to cease its preoccupation with constant scenes of her failed relationship with Malcolm Khalid, a gifted writer with an inflated sense of what the world owes him. Earlier this afternoon, she resolved to leave her past heartaches before taking her first-class seat, but glimpses of the past drifted into her mind with each air mile. Now as she inhaled the warm, citrusy Florida air, thoughts of chilly New Jersey and its inhabitants loosened their hold and moved from her memory, like a faded Prada purse at the back of her bedroom closet. Entering the luminous hotel, she let herself enjoy the gentle embrace of an ocean breeze, as it whipped the hem of her lilac Valentino cocktail dress. The fabric’s movement exaggerated the normal sway of her hips making each step more feminine and peppy. Her voice was tempting like a great glass of iced coffee on a balmy day morning. Smooth, satisfying you to the center. Rich, with the faintest Jersey accent reserved for the likes of Keyshia Knight Pullam and Anne Hathaway. She knew her voice would instantly cause a male reaction when she turned up her throaty timbre with potent Sheridan flare. This vacation was about relishing in her womanhood, and toying with a few males would be a safe amusement, emphasis on safe because she had no intention of dealing with any strong male egos. The Latino clerk smiled at her before locating her information in the hotel computer. “It seems your party is scheduled to enjoy the ocean view terrace of our Scarpetta restaurant for dinner right now. We can take your coat and belongings to the La Baie Presidential suite so you can join them.” Once she flashed her ID, he moved a form forward for her signature and placed her room key on the counter. She loved being the woman that put the ‘fem’ in Femencationer. It was a word she came up with to define any group of female friends, whose ties go back as far as childhood or college that seek a high-end, luxury getaway experience. A vacation with all the feminine delights women dream of enjoying. This year’s femencation united three alumnus of University of Florida and marked the start of the year to forget old sorrows and usher in new adventures. As Laila strolled towards the Scarpetta restaurant, she stopped when her shiny forehead and nose caught her attention in a mirror that hung in the corridor. She looked good for thirty one but preferred to say she was late twenties when vacationing because no one over thirty in their right mind would party the way she planned to. She blotted her face and secretly wished she was meeting her friends under better circumstances but after Sofìa’s pending divorce from the famous sports announcer, Sean Vega, they all needed a break from reality. And this trip was the perfect reason to release stress. When Laila arrived at the restaurant, several male heads turned in appreciation as she silently commanded the wait staff’s attention. “I’m a part of the Vega/Sheridan/Carter party,” she announced as she surveyed the room. They moved effortlessly through the patrons seated at their tables until Laila crossed the threshold of the balcony. The sight of her friends a few yards away made her light up like a five year old at a surprise party. Marina Carter squealed with laughter and rose to hug Laila tightly, “Oh girl you look great!” Genuine excitement radiated from her eyes as she peered into Laila’s face. Sofìa toyed with the appetizer in front of her, as boredom overshadowed the faint hint of a worried brow. A sullen look on the very attractive Latina annoyed Laila because it was in direct contrast to the lively mood she and Marina were basking in. There was only one way to change the mood, it worked in college and she prayed it would work in this case. Laila took a hearty sip of wine and suddenly developed a serious demeanor. She squared her shoulders and winked at Marina before turning all of her attention toward their brooding best friend. Laila and Marina tossed back their heads and giggled like two high school girls as Sofìa sat rigid like a frustrated, overworked parent. It was amazing how frowning aged her about seven years. Sofìa returned her attention to her menu and began looking over the selections. “You think?” she asked in her usual disconnected medical voice. “Sound like a miracle,” Marina said, when she saw the determination in Laila’s eyes. “You go, girl!” Marina cheered, as she raised her glass in sympathetic acknowledgement before taking a long sip of wine. “I guess I feel the same way about Sean.” Sofìa said, as she toyed with a tendril of auburn hair that flowed from her center part. “To the ladies!” Laila and Marina repeated and drank a sip of wine a moment before their dinner was set before them. 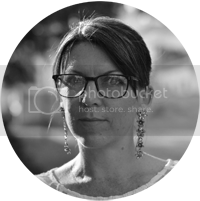 Angeline Bishop writes contemporary romance fiction and has a growing fan base. Angeline’s novels are thought-provoking, refreshingly entertaining, fast paced, and with a strong romantic elements. She was born in Washington, D. C., but lived most of her life in New Jersey and considers the 'Garden State' her home. Her childhood passion for writing led to a degree in English Literature and a membership in Romance Writers of America. Aside from writing her own novels and blogging, Angeline is the Vice President of the Cultural, Interracial, and Multicultural Special Interest Chapter of Romance Writers of America and enjoys helping authors strengthen their craft. She co-hosts the AMB Talk Radio podcasts each Fall with her pop-culture loving, college-aged daughter. And she’s the founder of the AMB Ovation Awards (The Angie) which provides honor and recognition of authors’ outstanding achievements in the multicultural romance literary profession. South Beach, the second novel in the Sheridan Series, will soon be following by Wild West and Big East. Angeline also looks forward to launching the Jacmuir Series, a multicultural New Adult series inspired by her college-reader fan base. The overall tour giveaway is paperback/ebook copies of Book 1 and 2 of the Sheridan Series (North Star and South Beach) plus a $100 Amazon’s gift card.